This post has been read 46 times! 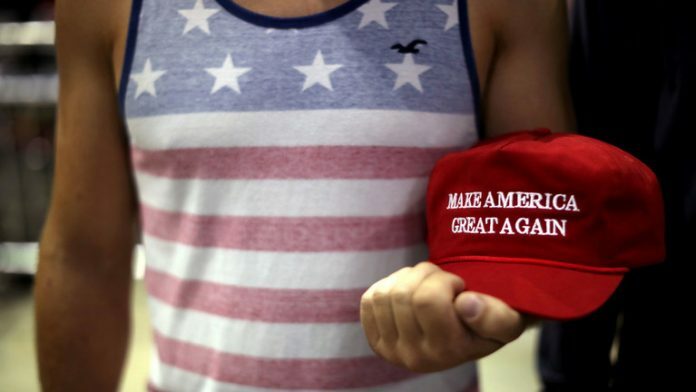 As footage of the standoff between teenagers and a Native American once again polarized the US, several commentators and celebrities compared the Trump supporters’ red hat to the KKK hood, and thus, to the roots of all evil. “The red MAGA hat is the new white hood,” tweeted actress Alyssa Milano in response to the video of a confrontation between a MAGA hat-wearing teenager and a Native American elder. Since Donald Trump took office many media outlets, including the Economist and the New Yorker tried to link him with the Ku Klux Klan. Although many Twitter users supported the idea, others, including prominent conservatives, found the comparison between the Trump supporters’ cap and the KKK regalia ridiculous. Dan Bogano, a host and a former secret service agent, reminded viewers that the slogan was used back in the Clinton era. “That is the dumbest thing,” he said to Fox News. The incident between high school students and the Native American man outside the Lincoln Memorial grabbed headlines in the US after a clip of a teen with a MAGA hat standing in front of a Native American elder, who is drumming in his face, was widely shared. The footage was interpreted as the teens mocking the Native American elder and sparked outrage among anti-Trump media and celebrities. However, the full version of the video showed that these accusations were inaccurate. It suggests that Nathan Phillips, the campaigner, actively approached the teens after the anti-abortion March for Life and began to beat a drum and chant in their faces. Despite this revelation the controversy hasn’t calmed down and the incident continues to galvanize both conservatives and liberals in the US. Meanwhile US President Donald Trump invited the students, who have since received death threats, to the White House.